It's been a bit since we've heard from the masked UK producer SBTRKT, but he returned with a new short visual for his recent un-mixed track "IMO." The song serves as a tribute to his brother and is a relaxing electronic ride. 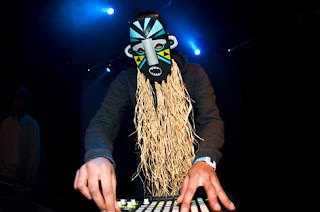 Yet, that is was SBTRKT tends to deliver. The video is quite simple and was created by Lorenzo Durantini and A Hidden Place. Watch below.